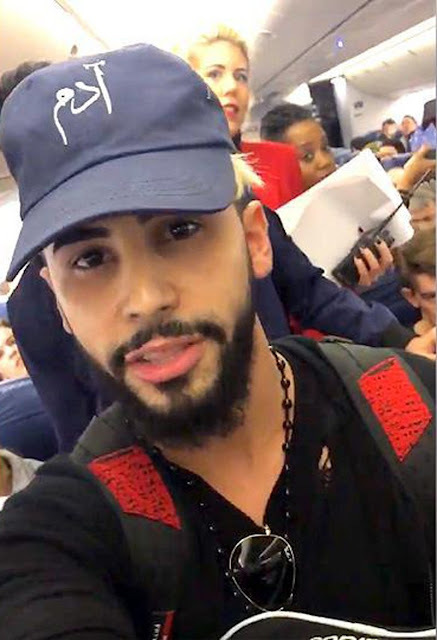 The hashtag #BoycottDelta is currently a trending topic across social media because of a viral video of a pair of Arabic-speaking men being removed from a Delta flight. The tweet garnered more than 24,000 retweets within an hour of being posted, and at the time of publishing had over 575,000 retweets. Saleh expressed his utter disbelief at the fact that him speaking another language on a plane had made other people ‘uncomfortable’. As Saleh raises his voice in protest of the airline’s decision, some other passengers can be seen in the background, mockingly waving him goodbye, leading Saleh to call them ‘racist’. Other passengers agreed with Saleh, saying that the ordeal was ‘so upsetting’. He mentioned that the incident leading up to his removal involved ‘six white people against us bearded men’; Saleh claimed that one of these men told him to ‘shut the f*** up’. Delta Airlines issued a statement about the incident on their website a few hours after it happened. The airline stated that it ‘takes all allegations of discrimination seriously’ and that ‘[their] culture requires treating everyone with respect’. The statement also says that ‘more than 20 customers’ expressed their discomfort, leading to Saleh’s removal: it’s unclear whether they were referring to the Arabic speaking, or Saleh’s protests afterwards. Delta has been branded as racist and Islamophobic across social media once again. "I feel uncomfortable, he's speaking Arabic"
"I want a henna tattoo"
"I want to visit Dubai"
This isn’t the first time that Arabic speakers have been removed from planes for arousing suspicion amongst other passengers, despite being entirely innocent of any crime; in April, an Iraqi student in California said he was escorted off of a flight for having a conversation in Arabic. In August, Faizah Shaheen, a Muslim from Leeds, was detained by UK airport police under terror laws in August, after she was spotted reading a book on Syrian culture during her honeymoon flight. This incident raises several questions about society’s view of Muslims in English-speaking countries across the world: many Muslims are pressured to only speak English, to remove their headwear and wear non-religious clothing, and to prove they’re not terrorists, despite no evidence suggesting that they are.